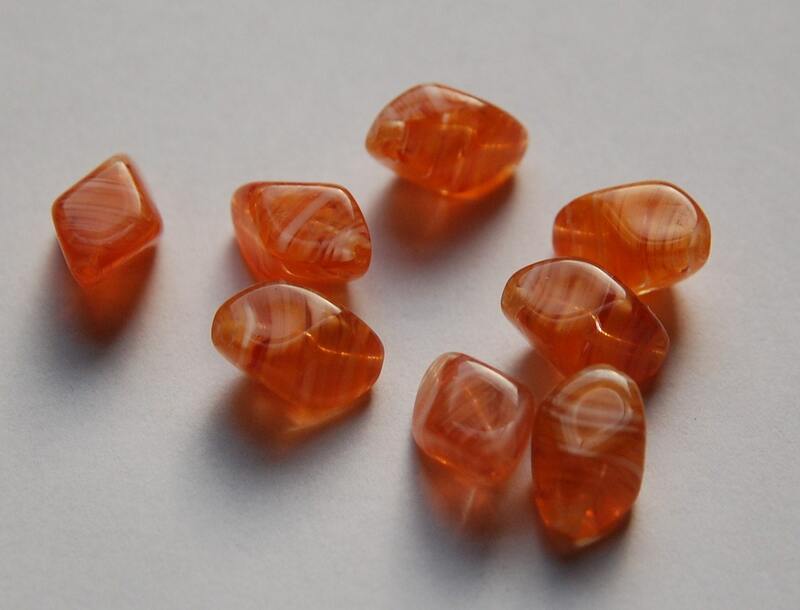 These are vintage orange glass beads. These have white lines in them. They are cut at an angle. 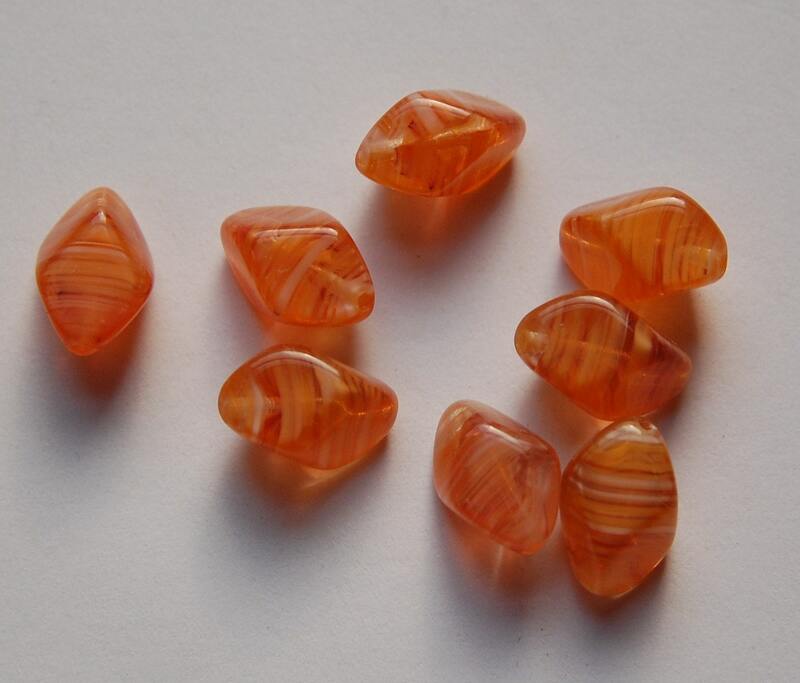 These measure 15mm X 9mm. You will receive 8 beads. Nice beads, well packaged, and super fast shipping, thank you! All of my multiple orders have been exactly as pictured and in perfect condition upon arrival. Thank you so very much for another very pleasant transaction. You are one of my favorite platinum etsy sellers.